Airtel free Facebook browsing: how to activate it? 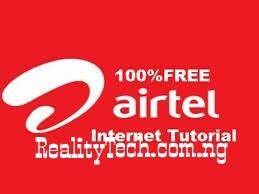 Home » FREE BROWSING CHEAT » Airtel free Facebook browsing: how to activate it? Do you like social networks? It is hard to imagine a day living without them now! Do you want to know some tricks on how to get free Facebook browsing on Airtel? Get the latest free browsing methods here! Free facebook browsing allow you to chat with your family, friends, near and dear, write comments, put likes and download photos and videos into your profile and watch your friends updates too! Facebook Flex is new way to use Facebook and is available for Airtel Nigeria users. You can share, like, write comments, chat and update for free with Free Mode and you can switch to Data Mode to enjoy photos and videos. You can also go back to Free Mode whenever you want! This service allows you to choose when to use data. You can switch on and switch off whenever you like. It also works when you do not have money on your balance. How to use free Facebook? Make sure your mobile data is turned on. Then, go to www.facebook.com or open your Facebook Android app. In case cannot find Facebook Flex on your phone, you should go to your Facebook Menu or Bookmarks, find and click “Facebook Flex”. Now you have free facebook browsing on Airtel! Follow the instruction to get free 500 MB. Free 500 MB for using facebook will be loaded on your Airtel Nigeria line. For this variant you have to use FB Lite Handler Application – 2018. It will come in handy for those who have smartphones with Android software. Enter the given data and save the newly created APN. Now install Facebook Lite Handler Application with the following link. Airtel free browsing is available for everyone! Try the most suitable methods for you.